The SECURITY HEAD was built using only premium heavy-duty materials. 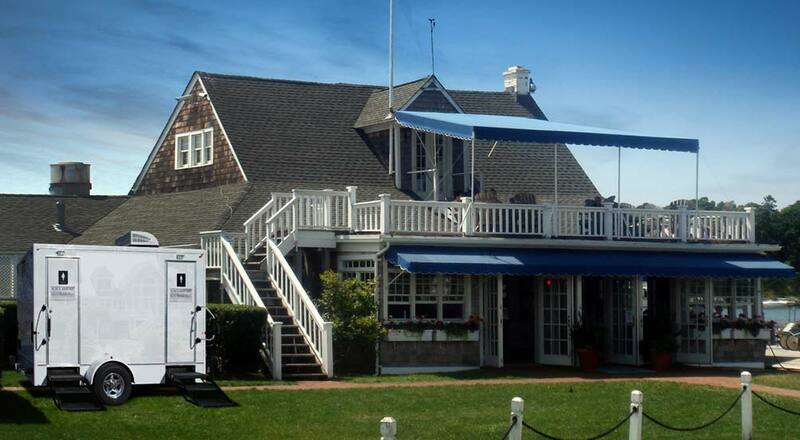 It is the ideal rental for any location with security detail such as gated communities, private clubs, shopping centers, parking lots, government and corporate buildings, estates, stadiums, schools and universities, parks and beaches, construction sites and any location with security guards. 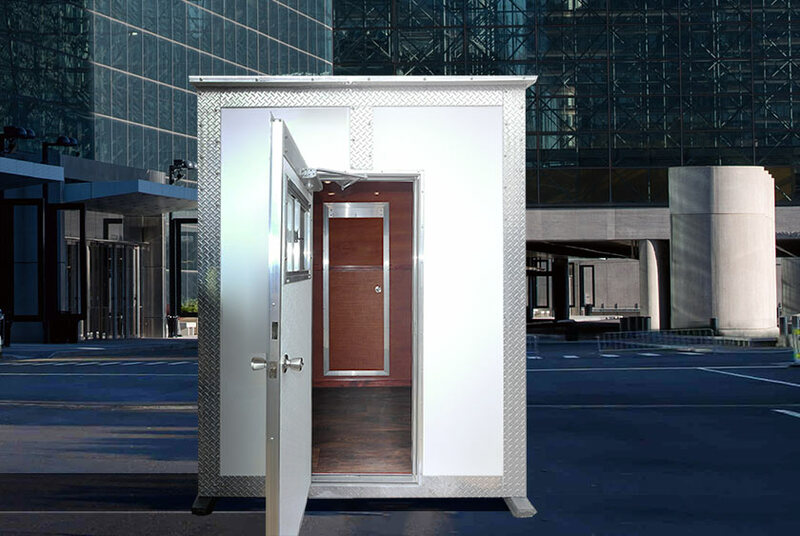 This extraordinary portable security guard booth has a private restroom built-in to bring safety to any location. Constructed of high-density polyethylene marine grade plastic, the SECURITY HEAD is durable and weather tight. Marine grade diamond plate aluminum with built-in marine grade stainless steel fasteners offers strength with the design. The SECURITY HEAD is available in various color choices including white, grey, blue, green and orange. Any of these colors combined with the polished aluminum finish looks spectacular. 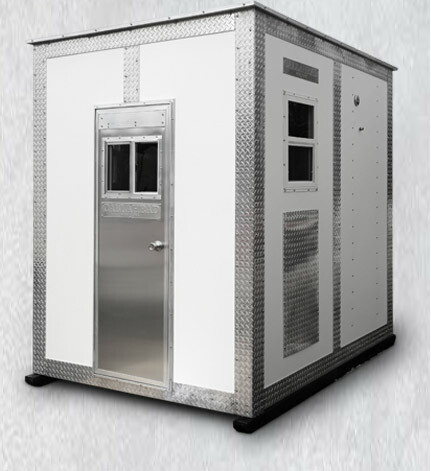 The attractive design of five different metals makes the SECURITY HEAD stand out above any other guard booth available adding value to its rental. 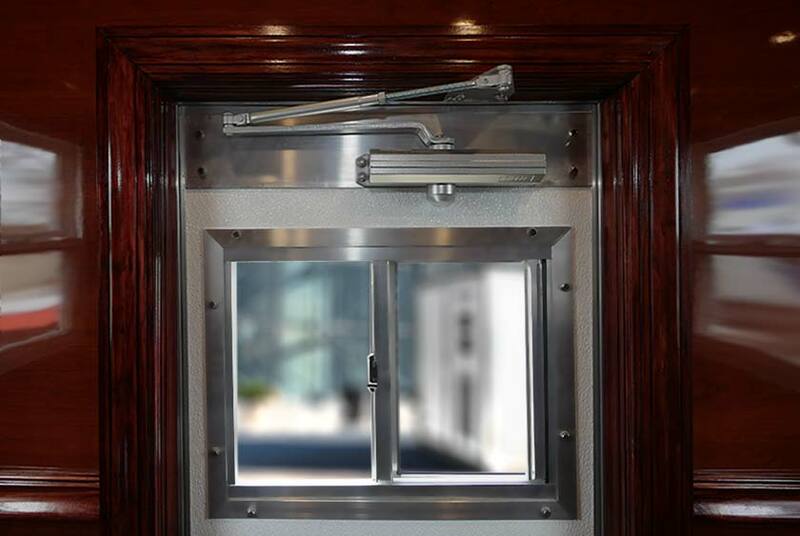 You enter the SECURITY HEAD using the commercial grade aluminum auto close door. The doors exterior includes CALLAHEAD’s signature engraved signage plate representing the very best in the industry. The door has a key lock entry and interior lock. Once inside it is hard not to be impressed with the guard booths interior design. 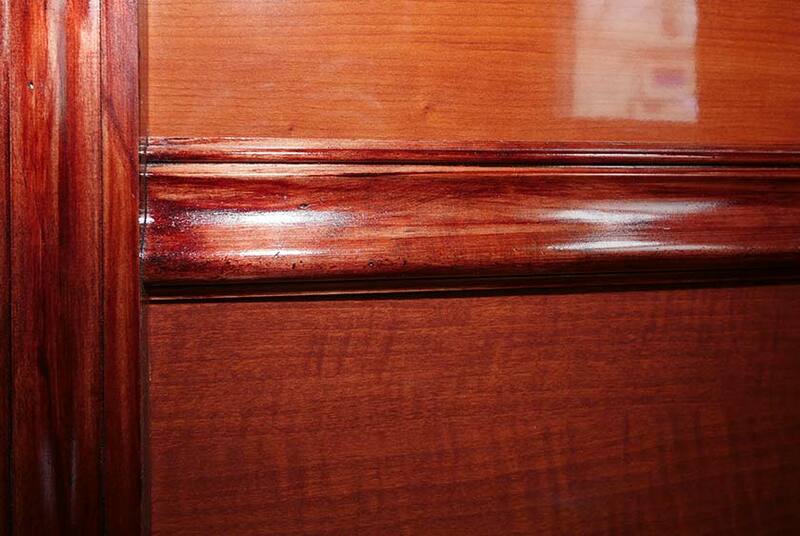 There is high gloss faux cherry wood finished walls that have base moldings, chair rail moldings, casement moldings and crown moldings. 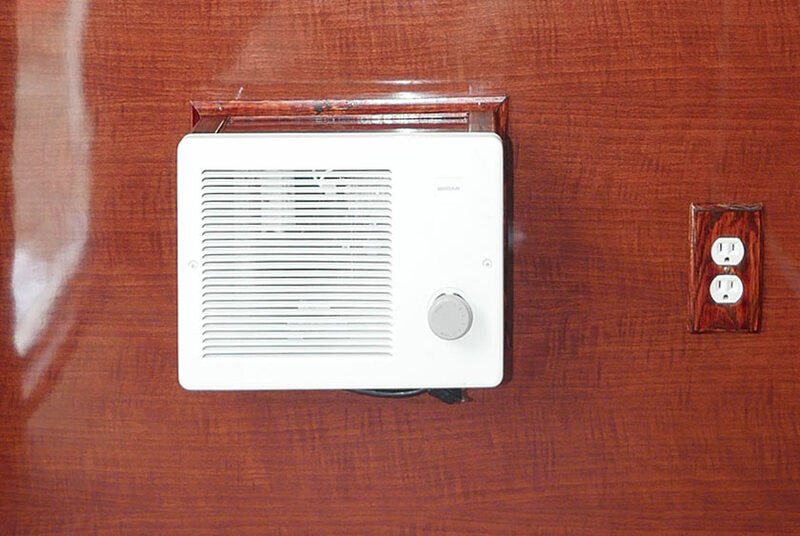 A thermostat controlled 1500 watt fan forced Braun heater provides a very comfortable workplace even in New York City’s below freezing temperatures. Three lockable windows with screens will deliver fresh air inside the SECURITY HEAD when you want it. 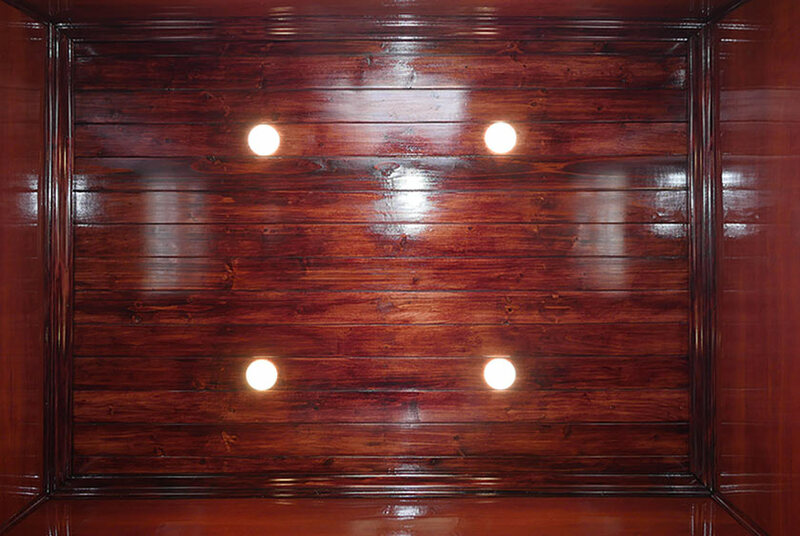 The cherry wood finished wainscot ceiling has four LED hi-hat lights. 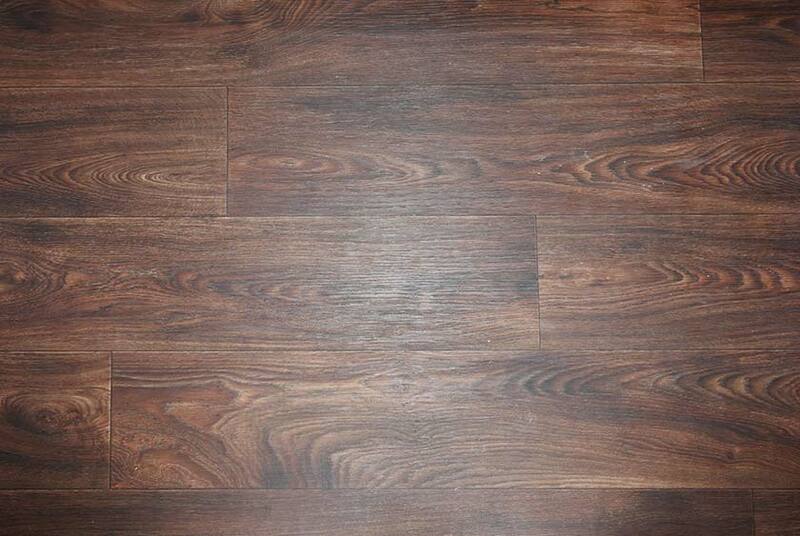 There is also wide-plank faux wood Armstrong flooring. Also inside the security booth is a 2-way 110-volt outlet for electronics. The SECURITY HEAD has a spacious interior to fit a table, chair, and a file cabinet to make it a productive workspace. Inside The SECURITY HEAD, there is a private restroom. The restroom’s auto close door has a key lock entry and interior lock for privacy. 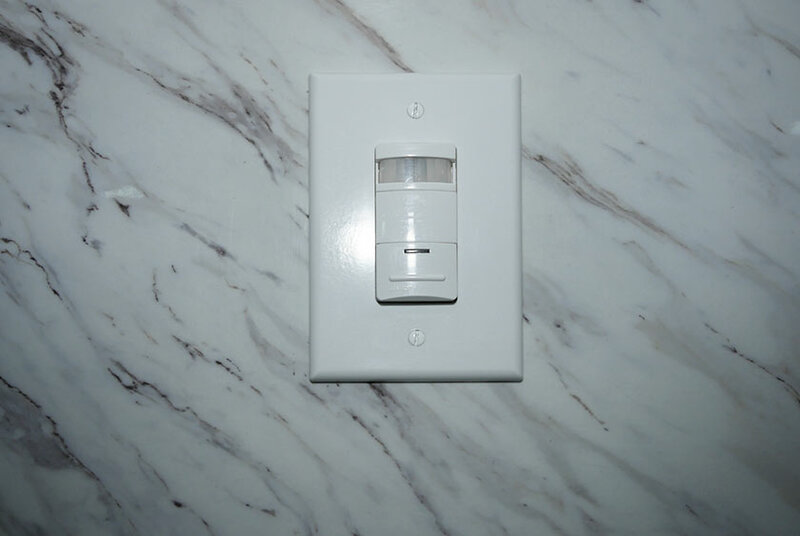 Once you enter, a motion sensor will trigger the lavatory’s pumps to turn on. 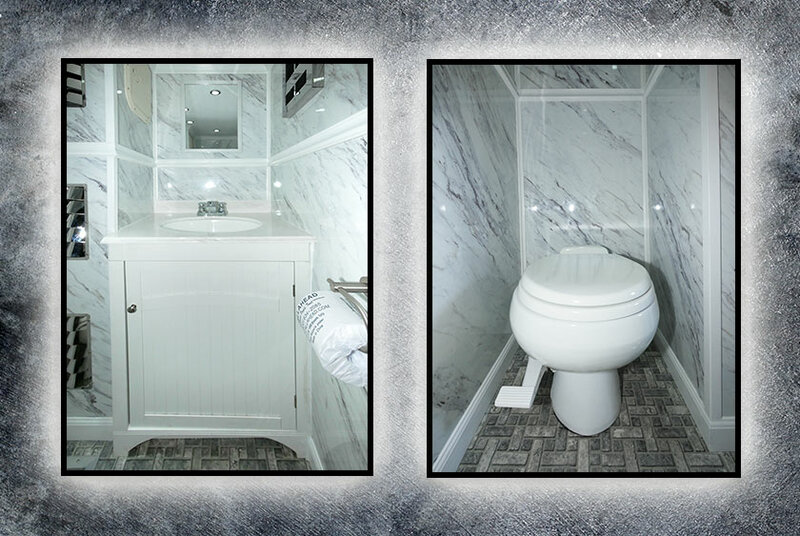 Users will be amazed at the bathrooms homelike design. 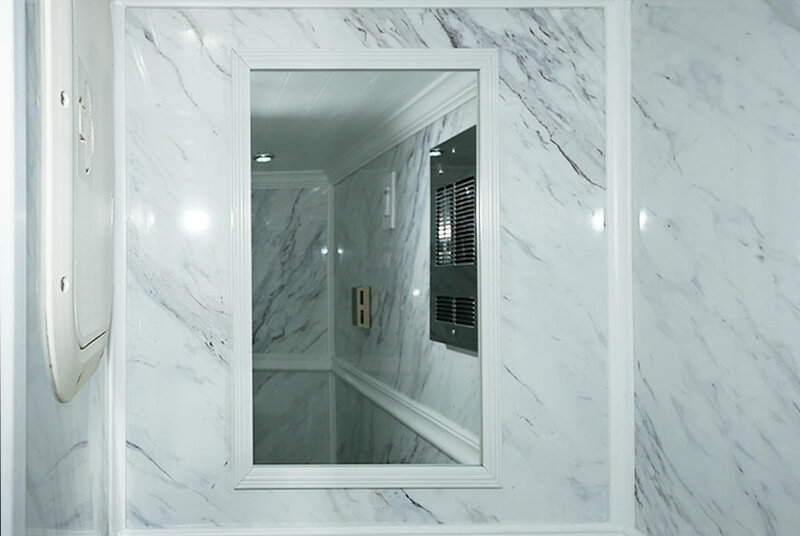 The faux statuary marble walls have white wood base moldings, chair rail moldings, crown moldings, corner moldings and casement moldings. Armstrong faux mosaic marble flooring adds to the traditional design. 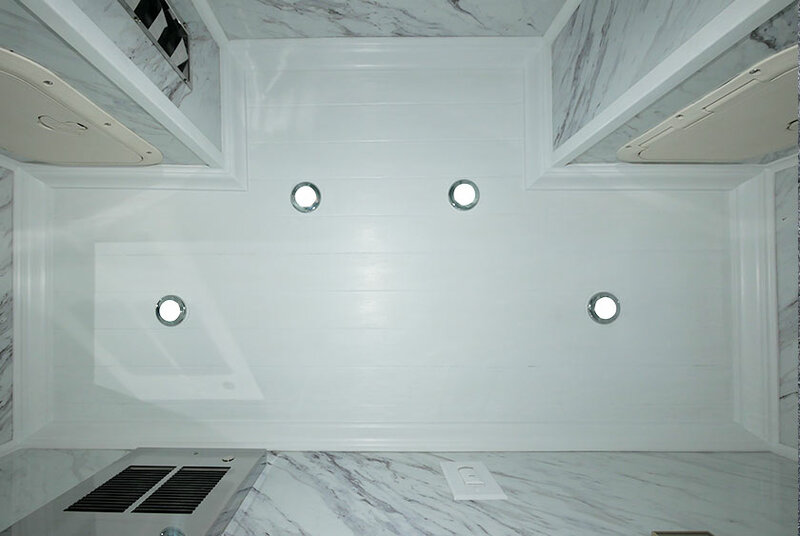 A white wood wainscot ceiling has 4 LED hi-hat ceiling lights. There is a porcelain low-flush toilet bowl with a foot operated flushing system for hands-free operation. A brushed nickel toilet paper ring is wall mounted in the toilet area. 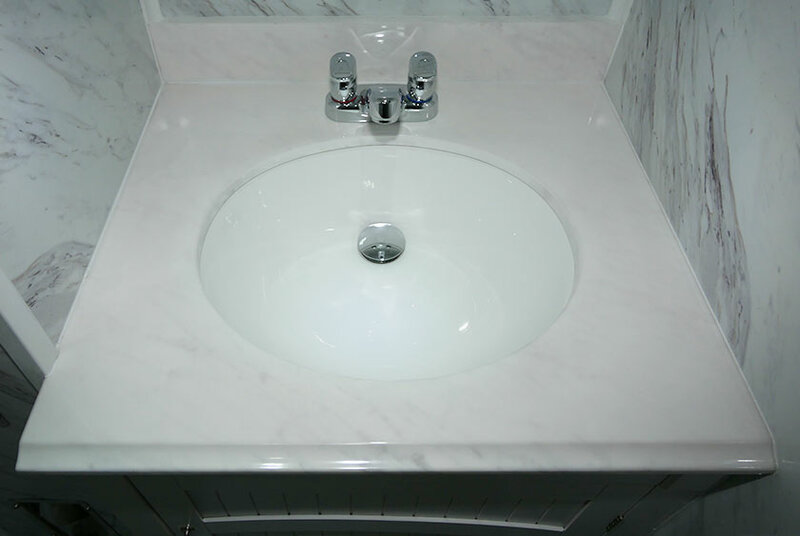 The wood vanity is located directly across from the toilet bowl and has a Carrera marble top with a porcelain sink basin. The Moen faucet offers hot and cold water options with automatic shut-off to help conserve water use. Above the sink, there is wall mounted soap and paper towel dispensers and a vanity mirror. The SECURITY HEAD is an entirely self-contained system with separate fresh water and waste water holding tanks and pumps. 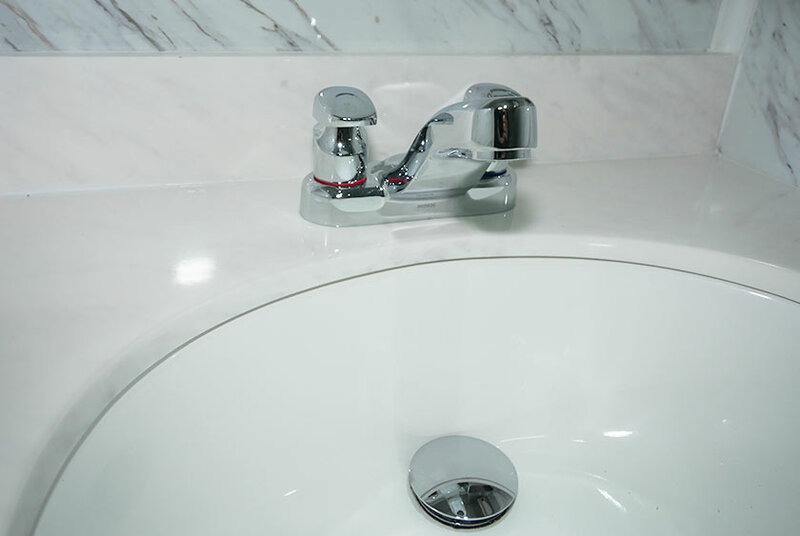 The sink and toilet operate on separate systems to eliminate any chance of grey water contamination. 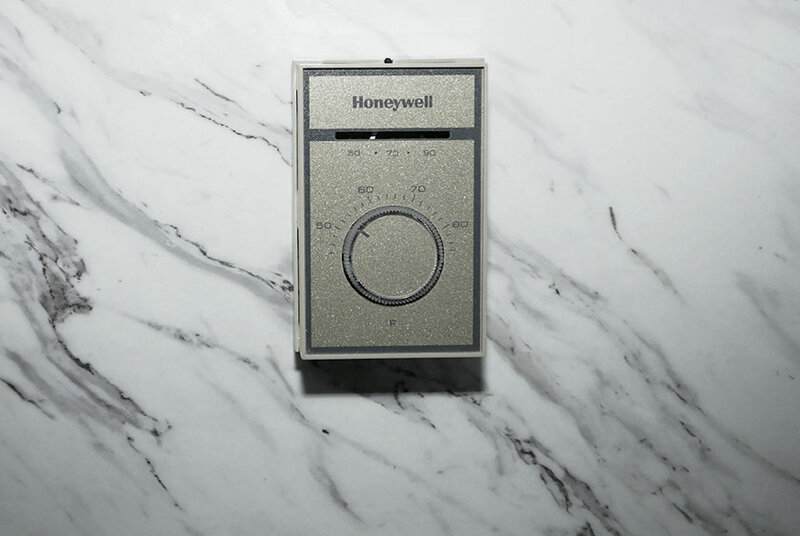 The Dayton 1500 Watt fan-forced heater is thermostat controlled for year round comfort inside the bathroom. 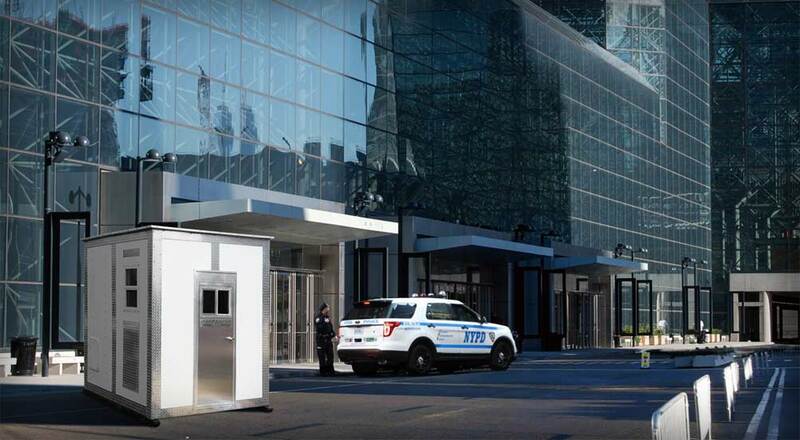 CALLAHEAD’s SECURITY HEAD is not only the ideal portable security booth and portable restroom for security detail it is also a perfect rental as a ticket or cash collection booth for seasonal locations. The SECURITY HEAD eliminates the need for security guards and ticket collectors to leave there post to find a restroom, particularly in remote areas. 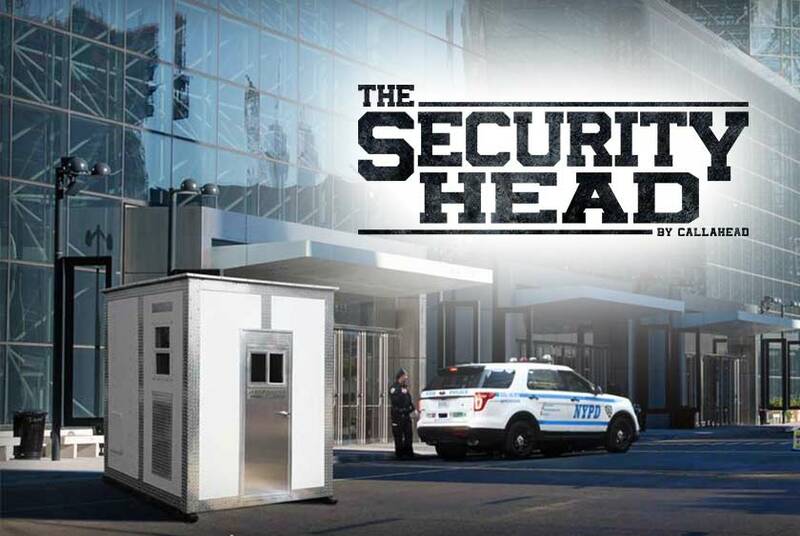 The SECURITY HEAD will eliminate loss in valuable work time, keep security detail on-site to protect staff and property, and delivers a portable security booth and restroom in one convenient and efficient rental. The SECURITY HEAD is another Charles W. Howard design and breakthrough for the portable sanitation industry. CALLAHEAD is not only the largest but also the most trusted in the portable sanitation industry. 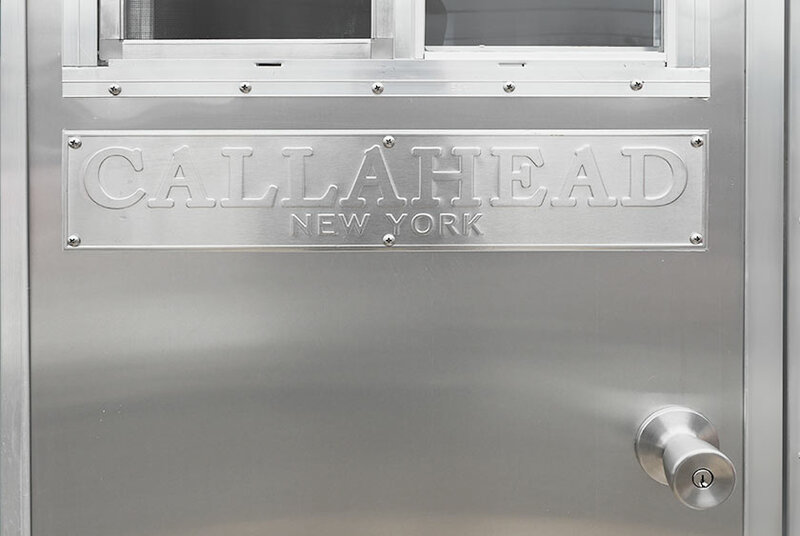 CALLAHEAD’s countless innovations have changed the world of the portable sanitation industry. Table and Chair rental placed inside the SECURITY HEAD to create a comfortable workstation. 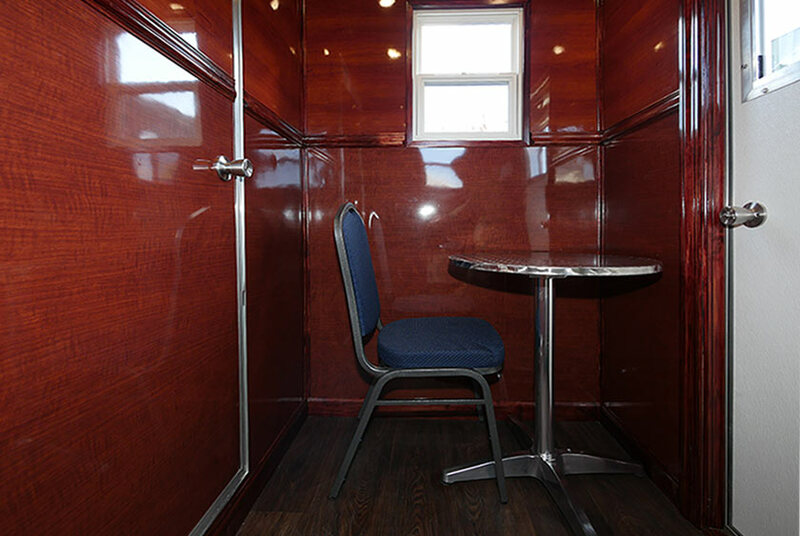 The convenience of a table and chair will provide ample workspace for every tour of duty. • Headmist Time Released Air Freshener installed inside the SECURITY HEAD that will release a clean, fresh scent automatically. The Headmist refilled when needed and maintained by CALLAHEAD. 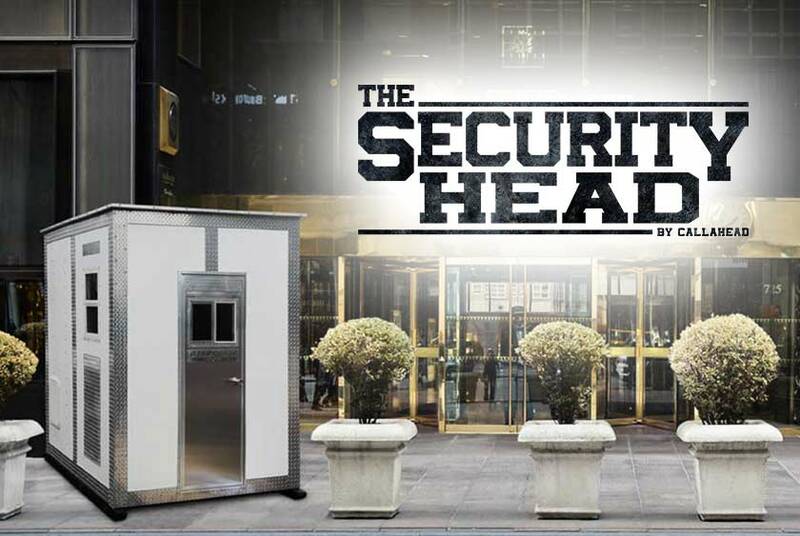 The SECURITY HEAD rental is available for delivery by a CALLAHEAD professional delivery specialist. In uniform, a delivery specialist will arrive at your location in one of CALLAHEAD’s signature delivery vehicles and position The SECURITY HEAD at the specified location. 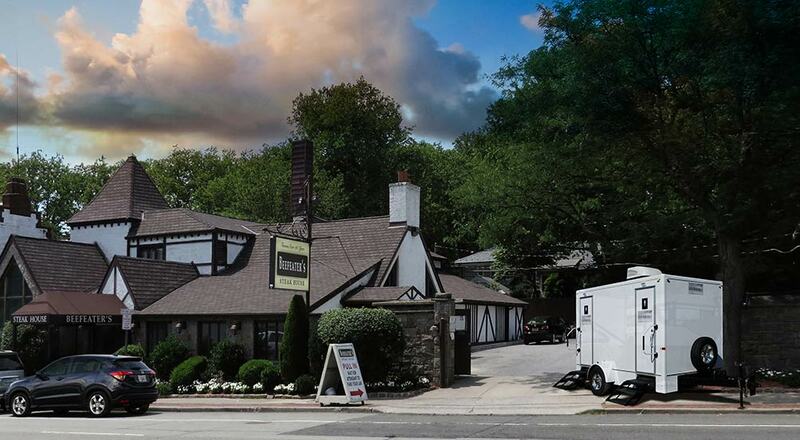 CALLAHEAD’s unmatched service is available throughout New York City’s five boroughs Manhattan, Brooklyn, Queens, Bronx and Staten Island, Westchester County and all of Long Island’s Nassau and Suffolk Counties. With every SECURITY HEAD rental, CALLAHEAD offers our hospital grade cleaning services daily, weekly, monthly or tailored to your request. A uniformed service technician will clean and sanitize the SECURITY HEAD with only hospital grade cleaners and disinfectants, and restock your restroom with supplies at every cleaning service. A CALLAHEAD sign-in sheet will provide time and date of each service and name of the technician for added peace of mind. 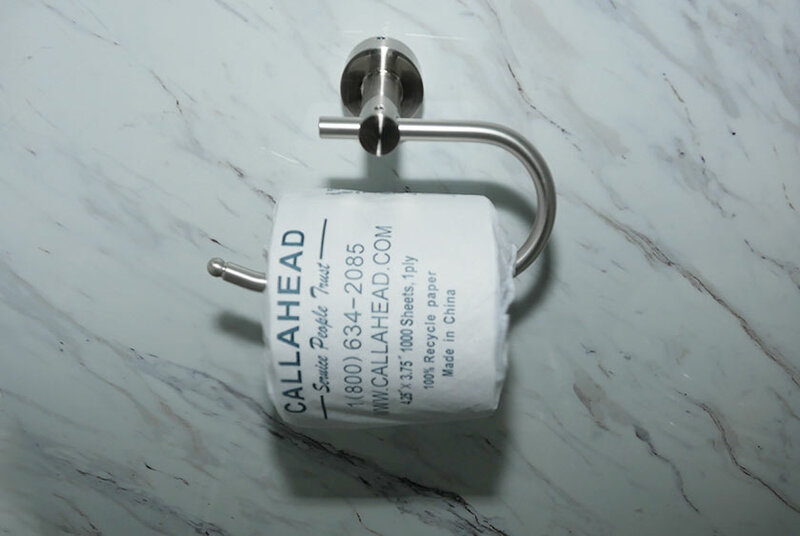 CALLAHEAD is the world leader in the portable sanitation industry. Designing products and systems since 1976 that have changed the industry. 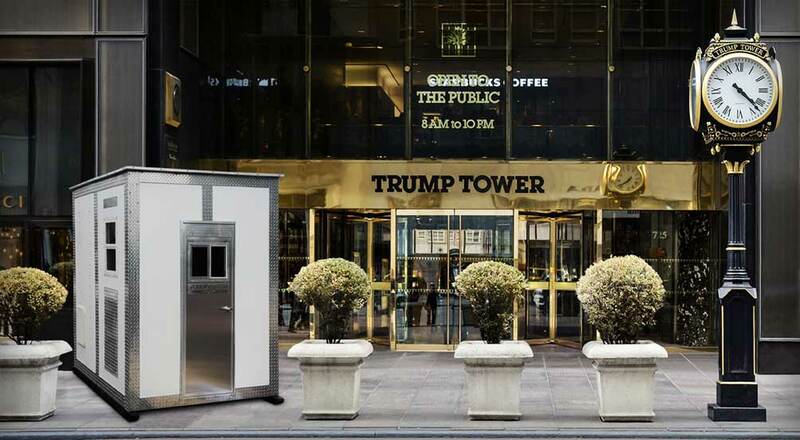 When it comes to the very best in portable security guard booths and restrooms, only CALLAHEAD has the dedication, commitment, and service to deliver the very best every time. 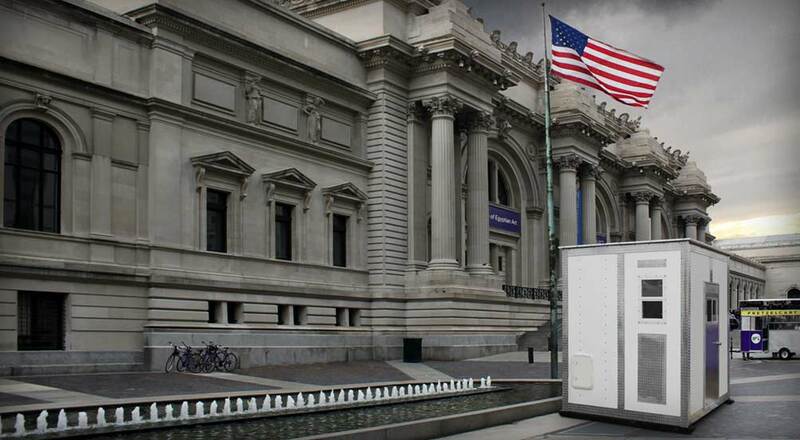 Portable security booths are necessary for countless locations throughout New York. Security guards are essential in protecting private property from theft and damage, and also for public safety, and owner liability. 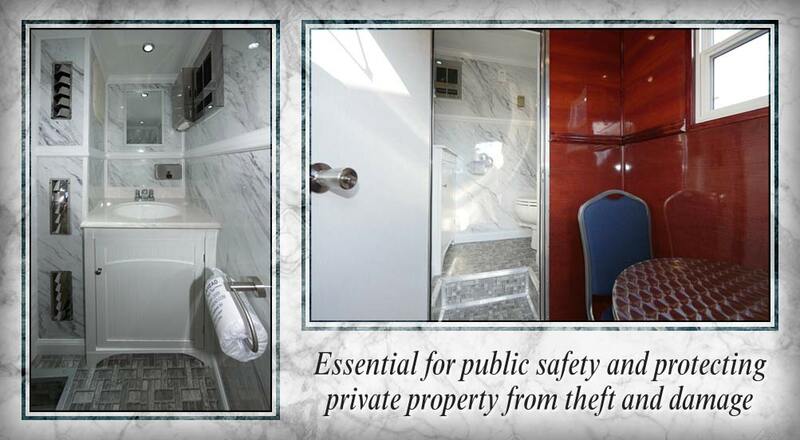 Access to clean restroom facilities for security detail is also required. 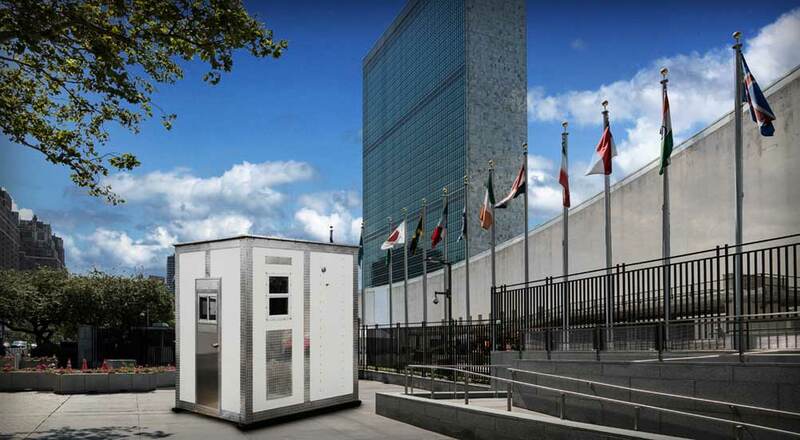 CALLAHEAD, New York’s largest portable sanitation company, manufactures a state-of-the-art design that delivers a portable security guard booth and restroom in one convenient rental. 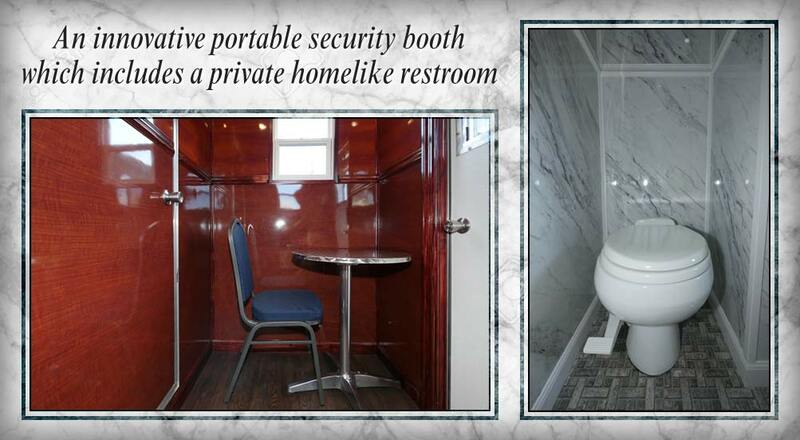 CALLAHEAD’s SECURITY HEAD is an innovative portable security booth which includes a private homelike restroom. 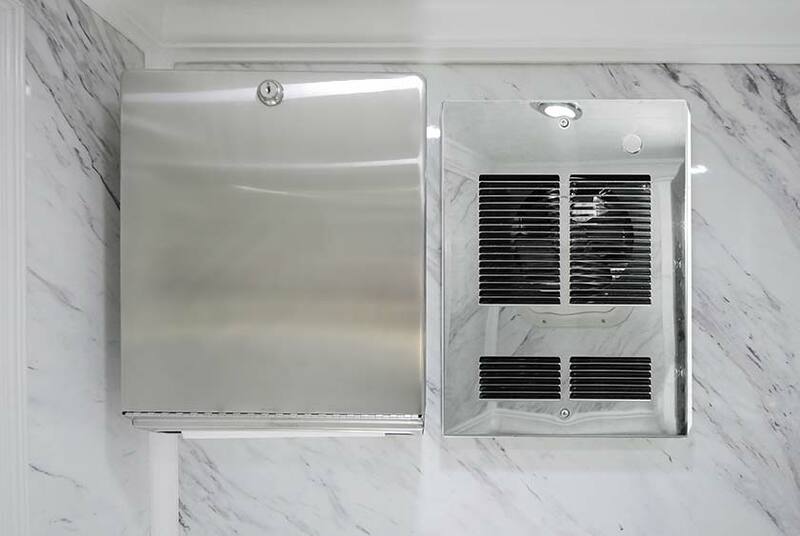 Heat, interior lighting, electrical outlet, porcelain toilet, vanity sink and so much more make the SECURITY HEAD a first for the portable sanitation industry. 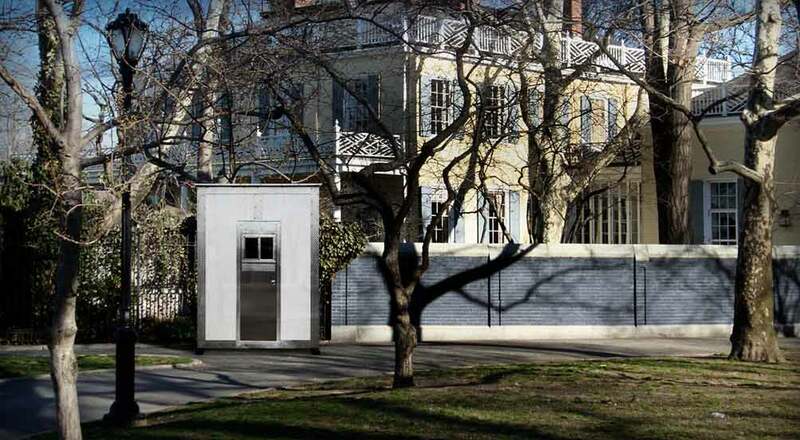 A design by Charles W. Howard, President and CEO of CALLAHEAD to give every security guard a private restroom without ever leaving their post. 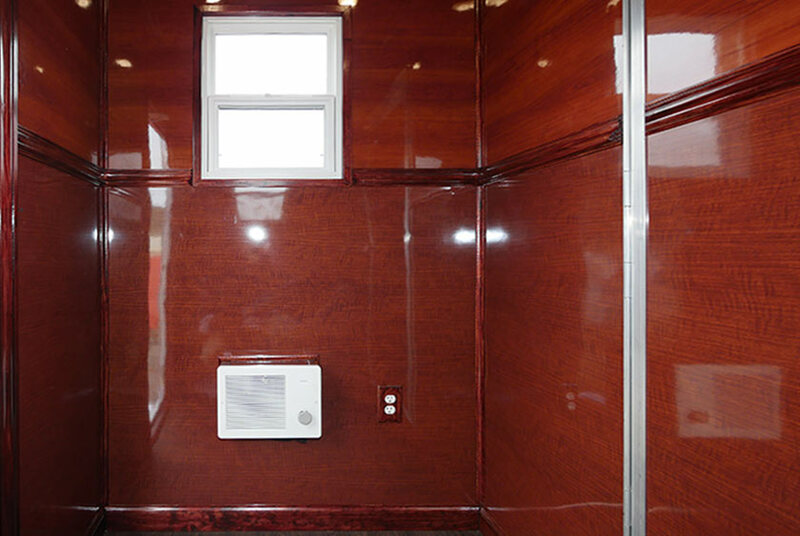 This is a portable and self-contained restroom that does not require any domestic water hook-up to operate. 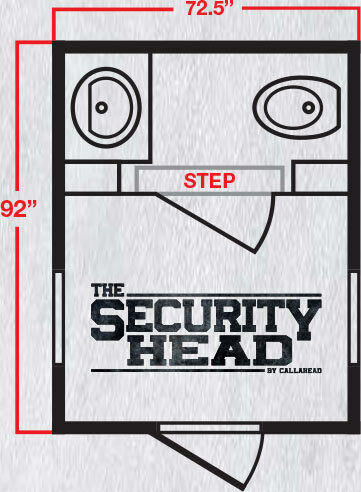 The SECURITY HEAD is only available through CALLAHEAD.